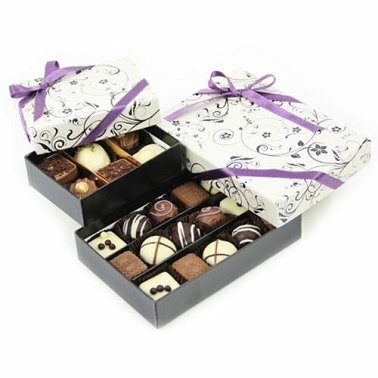 Indulge in a delectable taster pack of 21 superb Belgian chocolates ... a little bit of bliss in two tier box! It makes a classic gift for any occasion and these heavenly bites will give you a sinful drive to the taste wonderland. Share it with friends and family for a lasting impression.